When I was a kid I fantasied about a strong Black country.Something out of a science fiction movie.I must have come from watching Japanese and Hong Kong made films inwhich I saw other parts of the world modern which were people of color.I often said where is the futuristic Africa?Why cant an African country produce robots,trains,spacecraft.Well that idea may be answered.Africa is changing and we as African Americans have a chance to be in on it.Nigeria with its ultra modern Lekki free trade zone and Eko Atlantic a Dubai type Island made from reclaimed sand from eroding coastline.The following is an article about the spectacular growth in Nigeria. An industrial revolution is gradually coming about in Nigeria, with more than 140 million inhabitants Africa's most populous country. Despite the credit crisis the country's economic growth looks set to continue in the coming years. 'After Asia it's now the turn of the African economic tigers'. Ten gleaming motorcycles adorn the Innoson showroom in the city of Nnewi in the southeast of Nigeria. Most were made in China. 'But we are making more and more parts ourselves, like petrol tanks, brake parts and plastic covers' says company manager Onusogo Nnamdi. He's optimistic about the future. 'We will shortly be starting the manufacture of tyres,' he says. 'Within five years we will be the first company that markets a motorcycle manufactured entirely in Africa'. The sale of lightweight motorcycles is booming business in Africa. The demand is being met mainly by Chinese companies, with motorcycles straight off the production line costing less than three thousand euro. Nigerian cities are abuzz with them. They are also used as taxis. Anybody who wants to get from one side of town to the other for a few cents simply jumps on to the back seat. 'The problem with Chinese motorcycles is that their quality is not very good,' says Nnamdi. 'The parts that we make are better and barely more expensive.' Innoson is not the only Nigerian manufacturer getting in on the act. 'Over the past years countless new industrial companies have been started up. Nigeria is on the eve of an industrial revolution'. The city of Nnewi, home to many manufacturers, is nicknamed 'the Taiwan of Africa'. Nnamdi: 'After Asia it's now the turn of the African economic tigers. We can do anything that they can do Taiwan'. Africa is rich in raw materials, but they are seldom used locally. 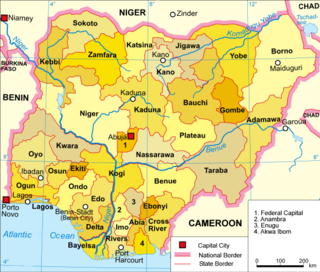 Nigeria, with a population of 140 million the continentç—´ most populous country, is one of the countries where this is beginning to change. The dominance of the oil sector - Nigeria ranks among the world's ten largest oil exporters - is gradually declining. The contribution of non-oil industry to Gross Domestic Product now stands at four percent, which although small is nevertheless a start. Despite the credit crisis the Nigerian economy is expected to continue growing in the coming years. In its most recent forecast, the Economist Intelligence Unit predicted growth of approximately three percent in the coming year. While this is less than in previous years, it is substantially more than the recent growth rates of western countries. Foreign investment funds, like Orbis of America and Intereffekt of the Netherlands, hold ample interests in listed Nigerian companies. British economist Paul Collier is delivering a speech in Lagos, Nigeria's economic capital. Collier, author of the widely acclaimed book The Bottom Billion, specialises in developing countries. 'I'm moderately optimistic about Nigeria,' he says. 'While there are problems, like the rampant corruption and poor infrastructure, the government of President Yarä½†dua seems genuinely to want to do something about it. Financial policy has improved in recent years. It's easier for companies to get loans than it was a few years ago'. The Nigerian Central Bank's recent assault on fraudulent banks confirms that the government is seriously endeavouring to reform the economy. Collier believes that the billions of dollars that Nigeria earns each year from exporting oil and gas has obstructed rather than stimulated the emergence of industrial companies. 'The value of the Nigerian currency, the naira, was very high for many years. It prevented local companies from competing. When the government finally devalued the naira many Nigerians complained about the increased prices of imports. But local industry benefited'. The poor infrastructure is another problem. Virtually every day there is no electricity for hours on end, and sometimes for days at a time. Companies have to purchase expensive diesel generators to continue manufacturing their goods. The government is attempting to solve the problems in ways including giving independent entrepreneurs an opportunity to build electricity stations. Bart Nnaji is one of the independent entrepreneurs in the electricity market. His company Geometrics is building a 188 MW power station in the city of Aba. 'Nigerians rightly complain about the government but in many cases the solution is right there. If the government fails, you take things into your own hands as an entrepreneur'. Geometrics received a loan from the World Bank to build the power station which will cost almost three hundred million euro. Nigerian banks also provided help in financing the station. Lorries loaded with concrete drive in and out of an industrial site on the northern tip of Aba. In front of the gates there four gas turbines that Nnaji purchased in the United States. Men wearing blue helmets are busy laying the foundations on which the turbines will stand. The new station will increase Nigeria's total electricity capacity by five percent. 'Depending on demand we might increase capacity to 500 MW in due course', says Nnaji. Foreigners are also investing robustly in industrial companies in Nigeria. Over the past few years Indian entrepreneurs have established textile companies in Nigeria, while the Chinese have commissioned the construction of plastics factories, for example. White farmers who fled Zimbabwe have established agricultural farms and dairy factories in the west of the country at the invitation of the Nigerian government. Dutch industrial companies have also discovered Nigeria. Heineken built a brand new brewery just outside the city of Enugu. With more than eight million hectolitres per year, the Dutch brewer sells more beer in Nigeria than it does in the Netherlands. Friesland Campina has set up in Lagos a factory that makes tinned concentrated milk. Products of Peak and Three Crowns, the two brands under which Friesland Campina operates in Nigeria, are on sale even in the country's smallest villages. An interesting fact about companies launched by Nigerians is that many are managed by entrepreneurs from the southeast of the country dominated by the 20 million strong Ibo tribe. 'The Ibos are more enterprising than other sections of the Nigerian population,' claims Charles Aniekwilo, secretary of the Nnewi Chamber of Commerce. 'We believe in our own strength,' emphasises Aniekwilo. 'If you have a problem it's up to you to solve it. We're not keen about development aid'. The motto of the Ibos is reflected in slogans often painted on the side of commercial vehicles. One of the most popular is 'No food for lazy man'. Nigerian industrial products are being exported on an increasingly larger scale. The value of non-oil exports from Nigeria recently smashed the ceiling of one billion euro. Car parts from Nigeria are on sale everywhere in the neighbouring countries of Niger and Cameroon - brake blocks, oil filters, batteries. Fruit juices and pasta are other goods sold to other countries. Nigerian shoes are another highly promising export product. The centre of this industry is the Ariaria market in the city of Aba. Thousands of craftsmen can be seen at work in small box-like workshops. Some work manually, others use machines. Most shoemakers work in clusters of four to six people. 'I cut the soles,' explains shoemaker Samuel Ugwu. 'A colleague does the uppers. A third person glues the two parts together after which somebody else does the stitching'. Gerbert van der Aa is a historian and journalist who specialises in north and west Africa. He is the writer of 'Khaddafi's woestijn', a book about Libyan leader Colonel Qaddafi published by Nieuw Amsterdam Uitgevers. Also see http://www.gerbertvanderaa.nl/. Gerbert van der Aa wrote this article for the December 2009 issue of ZAM Africa Magazine, a quarterly on Africa (in Dutch).